Spirituality and intellect | Open Our Eyes, Lord! …there are two common, but misguided, sentiments in some quarters of the Christian church regarding the relationship between spirituality and the academic or intellectual life. One is the belief that intellectual pursuits do not benefit the spiritual life and may even be dangerous to it. The other is the belief that spirituality is somehow ‘beneath’ those who are intellectually serious about Christianity and specifically about the literary and historical study of the Bible. Taken from: Patricia D. Fosarelli and Michael J. Gorman, “The Bible and Spiritual Growth,” in Scripture: An Ecumenical Introduction to the Bible and Its Interpretation, ed. Michael J. Gorman (Peabody: Hendrickson, 2005), 229. Dr. Patricia D. Fosarelli is an MD, a theologian, and a pastoral associate in a Catholic parish in Baltimore. 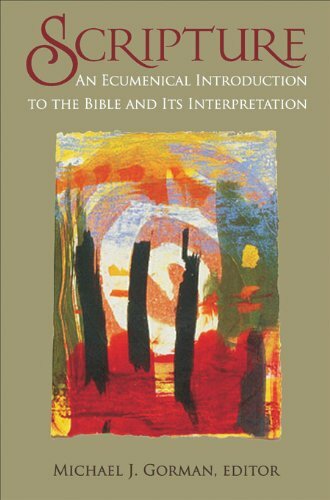 Dr. Michael Gorman is a Protestant (Methodist) theologian. Two highly educated people, with whom I would probably have many theological differences – but not in this area!